As the world's energy demands grow, batteries could be key to storing sustainable energy. It’s a difficult choice: Go hungry or go it alone. When soldiers are weighed down on the battlefield by food supplies and the heavy battery packs that power their communication equipment, they often choose to ditch the rations. It’s a sacrifice made to keep devices powered up and communication lines open in the field. Smaller, longer-lasting batteries would help lighten a soldier’s load, so USC researchers are working with the U.S. Department of Defense to develop better batteries that weigh half as much as current power packs. 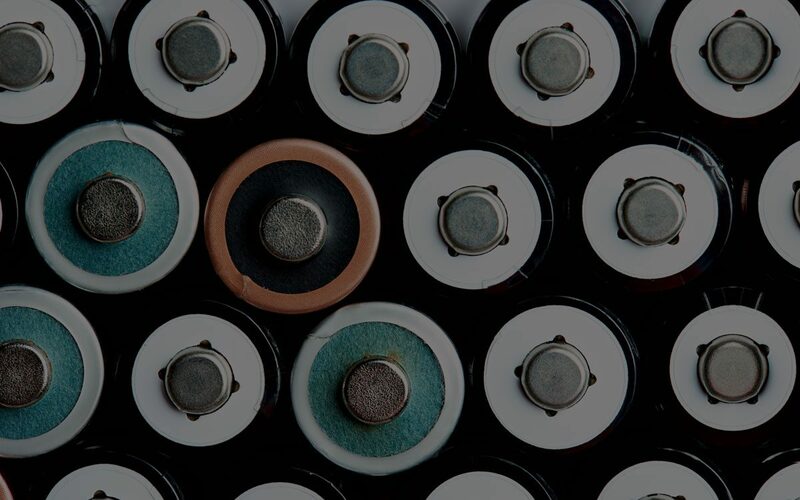 The battery technology has impact beyond the military, too, since batteries power everything from cellphones to cars. As the world’s energy demands grow, USC researchers are taking a fresh look at a battery-powered future. Innovative batteries could help us store renewable energy in large-scale energy grids to serve entire cities, lessening our dependence on fossil fuels. At the same time, scientists have uncovered new sources for this energy. The race is on to power a new battery revolution. 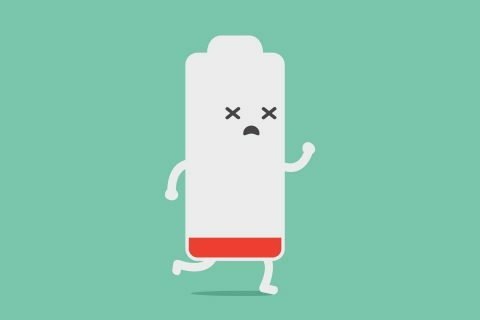 There are many kinds of rechargeable batteries, but among the most ubiquitous are the ones in our cellphones and computers: lithium-ion batteries. These units can store twice the energy by volume as nickel-metal hydride varieties, and they’re generally lighter, too. But they’re also known for their tendency to heat up (and bemoaned for dying at the most inconvenient times). Over time, they degrade and lose their capacity to hold an electrical charge. Experts say that despite their popularity, their days may be numbered. 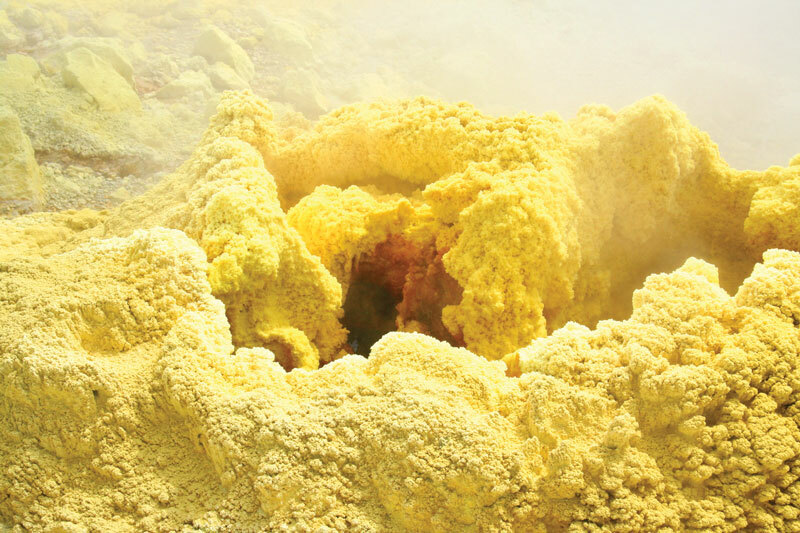 Narayan believes a viable alternative lies in sulfur, an abundant and cheap natural resource. By adding a unique conduction membrane to a lithium-sulfur battery, he created a battery that produces triple the energy for its size than current lithium-ion technologies. Because these batteries would be smaller and better at storing electrical charge than lithium-ion batteries, they would be ideal when more energy needs to be packed into a small device. According to Narayan, they could be used in cellphones, computers and eventually electric vehicles, including cars and even planes. 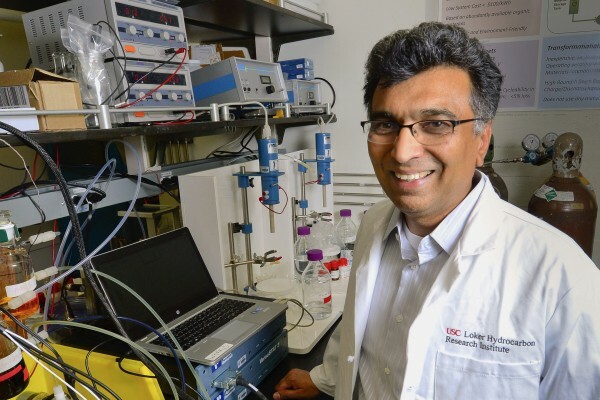 The groundbreaking potential of his work caught the attention of the U.S. Department of Defense, which has been funding Narayan’s research to develop a lighter battery for soldiers on the battlefield. Chongwu Zhou, professor of electrical engineering at the USC Viterbi School of Engineering, has turned to a different natural resource to improve cellphone batteries. His design uses sodium — an element usually associated with table salt — as a replacement for lithium. Zhou’s innovative sodium-ion battery can be charged to 50 percent capacity in only 2 minutes. Even though it’s still in development and not yet ready for market, it’s already got one advantage over existing batteries: manufacturing. Sodium is cheap and abundant, and it’s easier on the environment than lithium, which must be mined. One hour of sunlight provides more than all of the energy consumed on the planet in a year. Solar panels are one way for us to tap into some of this universal, free power source — but what happens on a rainy day? Solar panels can only generate power when the sun shines on them, and wind turbines can only generate power when the wind blows. The ups and downs in supply from these renewable sources make it difficult for power companies to rely on them to meet customer demand in real time. “It is safe to say that the sun will be there for the next 4.5 billion years; therefore, we do not have an energy crisis but an energy storage crisis,” says Surya Prakash, professor of chemistry and holder of the George A. and Judith A. Olah Nobel Laureate Chair in Hydrocarbon Chemistry. If batteries could store surplus energy to keep a consistent supply on hand, though, that sporadic unreliability could cease to be a problem. That’s why Prakash and Narayan have developed a water-based organic battery that is long-lasting and built from inexpensive, eco-friendly components. This new design uses no metals or toxic materials and is intended for use in solar and wind power plants, where its large-scale storage capacity could make the energy grid more resilient and efficient. Their battery technology differs from the conventional batteries familiar to consumers. It’s called a redox flow battery and consists of two tanks of fluid, which store the energy. The fluids are pumped through electrodes that are separated by a membrane. The fluid contains electrolytes, and ions and electrons flow from one fluid into the other through the membrane and then the electrode, creating an electric current. The new water-based organic flow batteries last for about 5,000 recharge cycles — five times longer than traditional lithium- ion batteries — giving them about a 15-year life span. At one-tenth the cost of lithium-ion batteries, they’re also much cheaper to manufacture thanks to their use of abundant, sustainable materials. Narayan and Prakash have tested a 1-kilowatt flow battery capable of powering the basic electricity needs of a small house. “We are looking next at scaling up to store enough energy for a whole city block, the city itself, and finally for a mega-city like Los Angeles,” Narayan says. With annual global energy consumption projected to continue increasing by about 50 percent in the next 30 years, relying on renewable resources is one of the most important motivators driving sustainable technology research forward. The world can’t continue to rely on fossil fuels to meet energy demands without devastating environmental consequences, researchers say. “What we must do within the next 30 years is diversify our energy portfolio to include renewables and incorporate them gradually to wean us off of burning fossil fuels, or at least cut back dramatically,” says Smaranda C. Marinescu, Gabilan Assistant Professor of Chemistry at USC Dornsife. Marinescu focuses on gathering energy harvested from sunlight and storing it as chemical energy — much like plants do through photosynthesis. She and her team are working on a way to convert that stored energy into electricity by using what are called metal-organic frameworks. These flexible, ultra-thin and highly porous crystalline structures have unique properties that have been used by scientists primarily to absorb and separate different types of gas. Their use for energy applications seemed like a lost cause because researchers believed they couldn’t conduct electricity. But Marinescu’s work has changed that. In the lab, her team experimented with the material. They took electrons that were localized in bonds (which prevents them from conducting any electricity) and spread them out over multiple bonds, developing solids that could now carry electric current the same way that metals do. “Metal-organic frameworks now have the potential for renewable energy production and storage,” Marinescu says. The frameworks developed by her research group contain inexpensive elements and can transform acidic water into hydrogen. This represents a huge advance, as these materials could one day be used in technologies like those for hydrogen-powered vehicles. They can also be spread thin across a huge area: It only takes 10 grams of the material to coat a surface the size of a football field. The technology opens the door for storing renewable energy at a huge, almost unthinkable scale. Could batteries of the future come from living organisms? Moh El-Naggar, Robert D. Beyer Early Career Chair in Natural Sciences and professor of physics and astronomy, biological sciences and chemistry at USC Dornsife, thinks nature has some surprising potential for power. El-Naggar studies the unusual metabolism of bacteria like Shewanella oneidensis. The bacteria transfer electrons to solid surfaces like rock, creating tiny electrical charges. To create a living “bacterial battery,” El-Naggar’s team envisions a microbial fuel cell that can generate energy by capturing electrons from the bacteria via electrodes. The scientists are designing technologies that tap into the bacteria’s natural electron transfer process. USC is really good at the breaking down of walls between scientific disciplines, and this is an important advantage for innovation in the area of renewable energy, which is not defined by any one discipline. For example, microbes and devices could be placed at the bottom of the ocean and generate enough power for tiny, highly sensitive sensors. The U.S. military is developing such sensors for underwater surveillance. 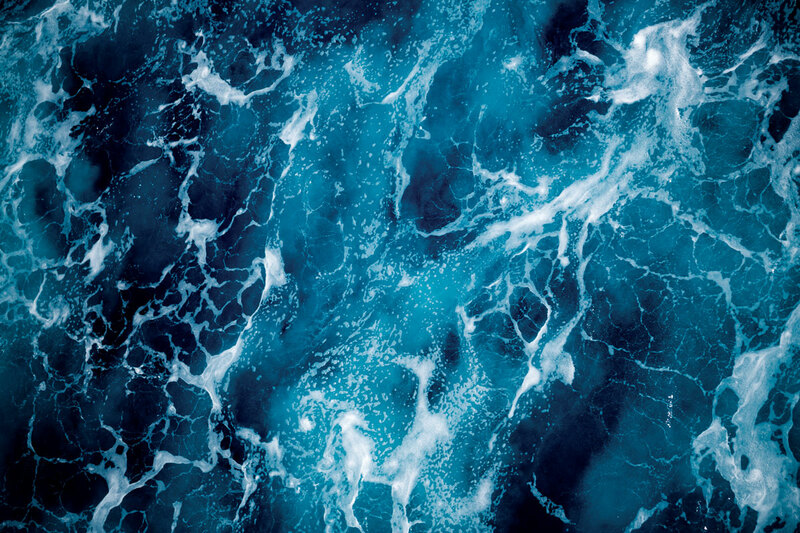 Using living batteries for sensors at remote ocean locations would be far more practical than having to change traditional batteries or supply fuel to these sensors. El-Naggar’s work may lead to the development of new hybrid materials and renewable technologies that combine microorganisms with the synthetic building blocks of nanotechnology, potentially creating a new hybrid form of sustainable energy. While there will most likely be more than one solution to powering the planet sustainably, El-Naggar sees an opportunity to disrupt the status quo. He also sees the university ready to expand the possibilities of what better batteries can do. “USC is really good at the breaking down of walls between scientific disciplines, and this is an important advantage for innovation in the area of renewable energy, which is not defined by any one discipline,” El-Naggar says. His lab includes equal numbers of graduate students and postdocs in physics, biological sciences and chemistry. The next wave of smartphone and car batteries could pack big power in a small size. 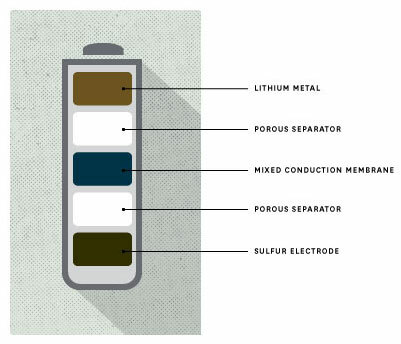 The next wave of batteries packs a big charge in a small size.